John Irving wrote, grown-ups shouldn’t finish books they’re not enjoying. I’m an abandoner. If a book isn’t working for me, I often—but not always—put it aside. But there are many reasons to abandon a book—and this category prompts you to revisit a book you previously abandoned. Not because every book deserves your second chance, but because some books do, and it would be a shame for you to miss out on those. I’ve learned that there’s a difference between a book that’s not right for me, and a book that’s not right for me right now. And understanding this difference has, perhaps ironically, made me much more comfortable with casting a book aside. In reading, as in so much of life, timing is everything. 1. We’re not ready. To understand this reason, picture a classroom full of sixteen-year-olds—or worse, twelve-year-olds—struggling through Jane Eyre. This is an amazing book, no doubt—but it’s one a whole lot of teenagers have a terrible time wrapping their brains around. Would they enjoy it in ten years? Maybe, maybe not. But the odds of them hitting it off with Jane are exponentially greater ten years later, when they can approach the work with more reasoning skills and more life experience. My daughters ask me periodically if they’re ready to read Jane Austen yet. 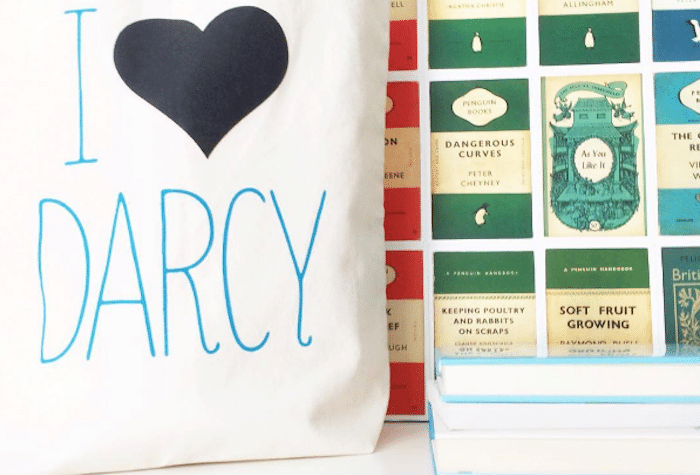 You might think I’d pounce on this, because I love Jane Austen. But I always tell them some version of probably not, but it’s up to you. Their odds of actually enjoying Austen improve with every year that goes by. I adore Crossing to Safety. It’s a lifetime favorite title. I didn’t read that until my thirties, which is a good thing—I don’t think I would have appreciated it half as much—and maybe not even 10%—if I’d read it in my early twenties. And if I’d read it in high school? Disaster. 2. Wrong circumstances. Every reader has a painful story from her own life to illustrate this point, so to show you what I mean, I’ll turn to fiction. That book might have been wonderful—maybe she would have loved it five years before, or even ten years after—but it’s wrong now. Sometimes we read because we have to, but when we get to choose, we want our books to match where we are—our moods, our season, our time of day. We may not appreciate a great book if we’re trying to read it in a setting that doesn’t welcome it. Of course, sometimes a book is just no good, and there’s no sense in revisiting one of those. But if you abandoned a book for one of the three reasons above, this is your chance to circle back and give it another try. I can’t wait to hear what you pick—and why. What are you reading for this category? Tell us your title and why you picked it in comments. And you know I’d LOVE to hear your thoughts on the above: what books have you read before you were ready, or in the wrong circumstances or setting? Previous: 15 books for new routines and fresh starts. I would have abandoned any number of books over these past five years if I hadn’t read them aloud to my sons. For that matter, I would not have even chosen them if they were not a part of their literature or history lessons. I’m positive I would not have read on my own The Lord of the Ring trilogy, but for their 11th grade British literature is was required reading and we relished our time together as I read aloud to them. Or, the Scarlet Letter or Uncle Tom’s Cabin for American History. These books, and many others would never have been on my reading radar if I hadn’t read them aloud. And, what unspeakable joy I’ve experienced from having read them. I read A Wrinkle in Time in fifth grade — and was perhaps the only kid on planet earth (and perhaps Camazotz) who didn’t enjoy it. But, a few years back, when the book celebrated its 50th anniversary, I gave it another try. This time through it was a different experience. I’m glad I gave it a second chance. I agree; tried reading it as a kid and hated it. Read it as a grown up and loved it. Even though it has children for main characters and is usually found in the children’s novel section of the bookstore/library, I read somewhere (maybe here??) that Madeline L’Engle would never agree to calling it children’s literature. I heard there is a movie for it in the making. I hope they do it justice. I found a copy at the thrift store and just finished it. Somehow it escaped my radar growing up. I feel like I would have liked it as a child, but I probably did understand the adult characters more now than I would have then… or how it could be possible for a planet like Camazotz to exist. I abandoned Poisonwood Bible (only a few pages in) multiple times in the late 90s when it was an Oprah book club selection, hot title, bestseller, etc. I finally read it this summer, and I’m so glad I both waited and returned to it. The book meant so much to me as a mother, and I know it would have resonated far less with my single, twenty something self. Oh! Maybe that’s what I need to revisit. I abandoned that in my 20s too and now am a mom. Off to check the library! I also abandoned that book in my twenties and was so surprised because I love everything else by Barbara Kingsolver……I am definitely going back to give it another try! My parents, who grew up in Russia, speak of having to read Dostoyevskiy and Tolstoy when they were only 14-year-old. As with all the other school subjects, the literature class curriculum in the former Soviet Union was nothing to laugh about. Inevitably, instead of appreciating the subject matter, story line, and characters, they grew to dislike those books immensely and many children abandoned the books completely, calling their friends on the phone the night before the exam to get the Coles Notes-type summary of the story. The context wasn’t right. They were not mature enough to appreciate the books or develop their own honest opinion of the story and characters. My late grandfather gifted to me his beloved War and Peace. The four volumes are beautifully bound is fragrant fine leather. They have been sitting on my shelf for many years now. I started to read the book several years ago in the summer, but it really is the type of material that should be read with a cup of tea by the fireplace. I think I will pick it up again in a couple of months. Thank you, Anne, for the reminder. How wonderful to have your grandfather’s leather-bound copy of War and Peace! I love that book, but it’s definitely one you need time to savor. Reading it in front of the fireplace with tea sounds ideal! I like this slow reading idea! I had to abandon Room by Emma Donoghue. As the mom of young kids, it was too much for me, emotionally. I kept imagining the narrator as my son, and myself as the mother, and it was just way too creepy and haunting. It may be years before I can attempt that book again. “With No One As Witness” by Elizabeth George was (is) a wrong circumstances one for me. I was eagerly awaiting reading it, being a huge George fan, so my husband surprised me on my birthday… two months after our first child was born. If you know the twist you’ll know why I was HEARTBROKEN. I sobbed my way to the end because I love Lynley and Havers but — though I own and have read all of George’s books many times — I still have not purchased the next one in the series, “What Came Before He Shot Her”; I simply don’t want to know. It’s amazing how long it took me to figure this out! It’s why I have to be reading multiple books at once. This topic really resonated with me. I just finished reading Three Farmers on Their Way to a Dance by Richard Powers. I had tried it a couple years ago and couldn’t get into it. Recently a friend told me it was the best book he had ever read. So I decided to drag it out again. This time I devoted a large chunk of time to get started and read about the book and author before jumping in. It was amazing and deep and thoughtful. I’m so glad I gave it another try. I abandoned Me Before You the first time I picked it up. It was soon after my grandmother’s death and the book sent me into massive sobbing fits. I tried again last year and thoroughly enjoyed it. I still shed a few tears but was able this time to separate fiction from real-life grief. I’m struggling right now because I’m not getting into anything! I’ve always been someone who reads mostly accessible books: chick lit, YA, and Memoirs. Then I fill with some heavier stuff – one classic a year, narrative non-fiction, fantasy (not harder just not as accessible), etc. Right now I’m struggling to finish YA. I find the premises promising, but reading them they are all feeling too cute or slick or something. And I don’t think they are bad. Just not what is fitting my brain right now. And too many heavy books in a row does not work for me. In the last 7 days I have read 2-3 chapters of My Lady Jane, Before the Falls, Life After Life, The Girls, Fredricka, and Wolf by Wolf. The only one I think I’ll finish is The Girls, but I don’t want to write off any of them forever. I’m also struggling though The Casual Vacancy. I really want to see where it goes, but getting there is SLOW. I previously abandoned The Casual Vacancy, and was SO disappointed because I thought JKR could do no wrong! Maybe I’ll pick it back up…. maybe. Harry Potter and the Cormoran Strike books are fast moving, reading in a few sittings books. Casual Vacancy is definitely not, but I feel like there’s a good (and important) story in there. It just needs to be my 20 pages at a time novel while I read other things too. I finally, after many attempts over more than a decade, read the Thomas Mann story collection, A Death in Venice. I’m not sure why I was so determined to read it, and why I made my repeated attempts after it failed to take so many times, but it was a fitting book for where I was this summer. I’m glad I kept giving it next chances. Oh, I struggled through that book hoping for something positive to come of it but was not to be satisfied. I donated it to the library. I just finished One True Loves last week and I was thinking about this category in the reading challenge at that part of the book! So true that it might just not be the book for you RIGHT NOW. I can’t bring myself to read Room until my kids are a bit older. I am really hoping to pick up Anna Karenina someday though. I rarely abandon, though sometimes I wish I could. Some of the books that challenged me the most have been books I disagreed with and didn’t truly enjoy reading. Often, I find myself carrying on an internal argument with the author. I HATED those books, but they were good for me and spurred on personal growth. I think I just need to be more discerning about which books have the potential to fall into that category and which are just a waste of my time. I grew up watching the Anne of Green Gables mini-series, and in spite of my love for Anne, I could not get through the first chapter of the book. I would imagine the scene unfolding in the show, abandon the book, and opt instead for another viewing. I did this many times. I determined to try again in my late 20s and I adored it. It’s one of my all-time favorites! I’ve found that I have a really hard time reading ANY book after I’ve seen the movie, so I make sure to read the book first. 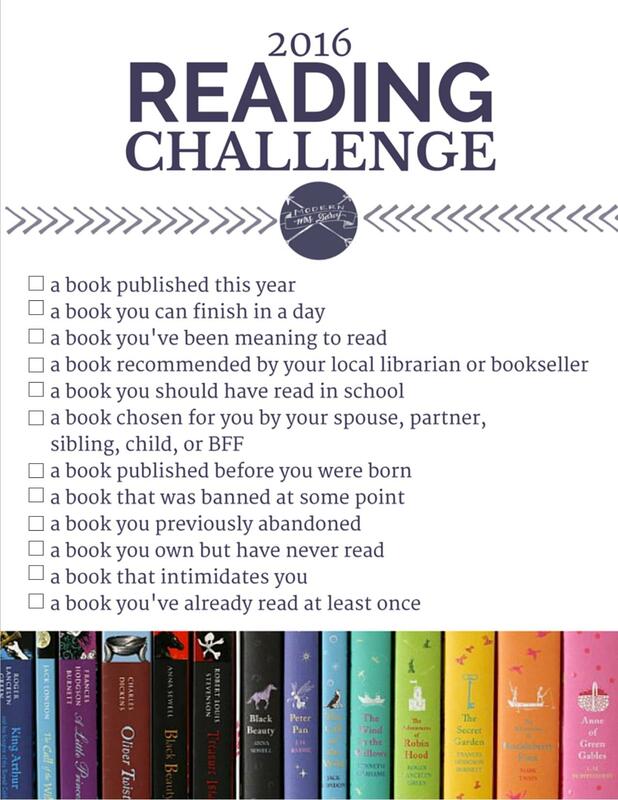 Because of this reading challenge I have read and enjoyed many books that I normally would have never read. Right now, I am reading “The Hundred Year Old Man Who Climbed Out The Window And Disappeared”. I never abandoned this book but I picked from one of your lists, Anne. If you have the chance to see the movie, it’s truly delightful. I have a lot of books on my shelf that I haven’t read. Some I’ve had for years without reading. But I know I will, eventually. And so they wait for me to pick them up. I know it’s not the right time yet to read them. But when the time comes, I’ll crack them open and read. the one ok that I would love to finish is Catch-22. It was a book we covered in high school but I didn’t finish it before the class moved on to another book. I tried again several times but didn’t get very far in before life happened and I had to set it aside. I’ve probably started it 6 or 7 times but have never finished. I love the book (what I’ve read of it) but I’m almost scared to start again for fear that something will happen that forces me to quit reading again! I read Catch-22 in high school and didn’t get much out of it. Then I read it again in college and thought it was absolutely brilliant (and hilarious). I think it’s one of those books that you have to have a bit more maturity and understanding of the world to appreciate. Not that I had all that much maturity or understanding as a 22 year old college student…but it was enough to appreciate the book. I slogged through Little Women in the fifth grade and just finished it last week. This time around I had a greater appreciation for the writing and its wholesomeness. I only went back to The Lord of the Rings books after seeing the first movie. I had never quite been able to “get” the settings but having a visual in my mind meant I read the books finally and loved them! I just abandoned Sound of Gravel—have two young girls and did not have the stomach for the abuse, although I appreciated her writing and story. I wish I had abandoned We Are Water by Wally Lamb for a similar reason. That book haunted me for months. I’d like to revisit Catch-22—tried reading it early in college and it never captured my attention fully. I threw “Watership Down” across the room when I realized it really, truly is about rabbits. Years later I really enjoyed it. Sometimes it helps to be warned of strangeness. I’ve tried reading Watership Down a couple of times and just can’t get very far. I just do not enjoy completely made up worlds, I’ve come to discover. Maybe one day I’ll try again, since so many have loved it so. I think you could add “WRONG FORMAT” to your list above too! Some books lend themselves to audio better than others, which can lead to abandoning a great book due to wrong format (or weak narration)…. I started “All the Light We Cannot See” in audio, but found it way to hard to follow as it jumps back and forth in time/place/character over and over again. So, I abandoned it. But the reviews are so good for this book, that I definitely plan to try again, this time READING it in BOOK format! Absolutely true! I’ve abandoned several audiobooks when the voice either annoyed me or couldn’t keep my interest. I know I will enjoy them in print though and will come back to them. I, too, have abandoned a few audiobooks because the reader’s voice drove me crazy. However, if you enjoy audiobooks, I highly recommend The Magician’s Elephant, performed by Juliet Stevenson. She is truly the most gifted reader I’ve ever heard (although Meryl Streep’s reading of “The Testament of Mary” is a strong contender). She so infuses each character with its own personality that it is easy to picture them. Format is a big factor for me. I’ve picked up print versions of e-books I’ve previously abandoned, and the ability to underline and markup the book made all the difference. For me, audiobooks depend so much on the narrator. I abandoned the print version of Wolf Hall, but the audio just brought the language to life – and also allowed me to read in a very busy season of life. I started reading Americanah because it was our city’s One Book selection. I could not get into it with so many details and dialects. But I absolutely loved it on audiobook!! That is an excellent (and often overlooked) point about format. I cannot imagine that book on audio! I don’t know–usually if I abandon a book once, chances are I won’t like it again, unless it’s something I couldn’t get through years and years ago. My reading tastes tend to be modern, though–there are very few classics I like. And there are just so many books out there I want to read that if I’m not sure about something, chances are I’ll abandon it and never look back. One such book that comes to mind is The Nest. We read this for summer book club and it was released for a summer hit but the season felt all wrong to me. I felt it more of a mid winter read, say in January. I, too, really enjoyed Jane Eyre when I read it a year or so ago as a twenty-something. In fact, I devoured it, when, in my teen years, I struggled to get past the opening pages. I’m not an educator, but sometimes I wonder about the propriety (in terms of style, life experience, attention span, subject matter) of choices curriculum/teachers dictate, especially for high school students. I have always loved to read, but even so, there were a number of books I slogged through. At the same time, I can see the value in having to read them for educational purposes…so I’m torn. I hear you on the pros/cons of kids reading the classics. In our region there seems to be a push to introduce the Great Works younger and younger … and I don’t think this is doing anyone any favors. Parents think it looks good on the reading list, but those poor kids! I would add “Burnout” to the list of reasons why a book might be abandoned. You could probably also call it something like “too much of a good thing”, and I really hope I am not the only person who has experienced this. While my particular experiences with this phenomenon are linked to *series* of books, I think it could probably hold true for books within a particular genre, by a particular author (non-series), or centered around a theme. Basically, burnout occurs when you read too many books in a row from a series, and you get to the point where, even though you know you like the series, you really just want nothing more to do with it. What qualifies as “too many” is going to vary from person to person and from series to series. 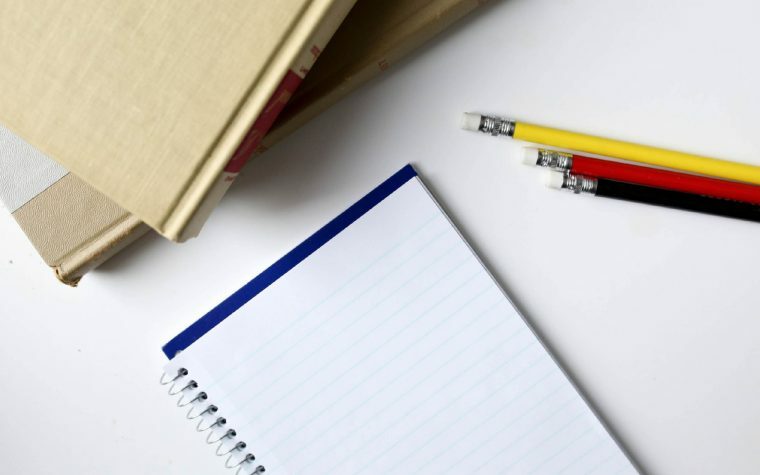 Avoiding burnout requires paying attention to your overall mental state and enjoyment levels, and adjusting your list of books to read next accordingly. I can recall two specific instances of burnout in my reading life to date (there may be others, but these two were memorable). In both cases I essentially binge-read large portions of a series of books, and pushed myself to keep reading even though I wanted a change of pace. The end result in both cases: I didn’t want to touch either series again, even though there were new books being published. Even though they were series I *liked* and knew I wanted to read. The first time this happened it took me eleven years before I went back to the series (I was still *buying* the series during that time, but I didn’t read any of the books). The second time it “only” lasted eight years (different series, and not one I was buying). These days I try to be far more careful and aware of my enjoyment levels when reading. I would much rather pause a series while I am still enjoying it, take a break to read some other stuff, then pick up the series again than find myself burnt out on something I love. You’re definitely not alone. I’ve been experiencing this with The Hitchhiker’s Guide to the Galaxy series. The quirky humor and randomness are great in small doses, but I think it loses some of its novelty when too many of the books are read back to back. You convinced me: burnout belongs on the list. Totally agree with you! When I was a kid, my school librarian suggested I read Anne of Green Gables but I thought Anne was way too chipper and happy and it didn’t resonate. About seven years ago, I picked up the book again at a book sale, read the whole series, and enjoyed it a whole lot more on a totally different level. Unfortunately, time has not won me over to Little Women yet, I vow I will read that entire book some day. I picked up Middlemarch years ago because I felt that it’s one of those books you “should” read. I remember trying to read it by the pool, which was a terrible way to get into the book. I abandoned it after just a few chapters. Then I listened to it last year while going on runs and hikes and now I can’t stop raving about what a masterpiece it is. I loved Kate Chopin’s The Awakening the first time I read it in high school because the descriptions of warm summer sun made me feel warm in gloomy January. I’ve read the book several times since then and with each passing year I feel like I understand Edna more and more. It’s one of those books that I’m surprised I liked the first time around because I really had no idea what was really going on in the characters’ lives. This happened to me the first time I tried to read Eat Pray Love. Liz Gilbert’s thoughts about her (ex)husband and impending divorce hit way too close to home for me emotionally. I couldn’t get past ‘Eat,’ because her words echoed deep in my soul. I knew that my marriage wasn’t the best, but something about reading her story made me acknowledge my own unhappiness in a whole new way. I ended up re-reading (and finishing) the book later on down the road. And I eventually left my husband. I’m grateful for her story though – it woke me up and gave me a bit and helped me to understand that the loneliness I felt in my relationship was not just a figment of my imagination. I have begun a abandoning books left and right in the last year or so. Previously I would have never done such a thing, but as I get older I realize life is too short to read a book that you don’t like….I will never read all of my TBR books as it is and so many wonderful books keep getting published. getting books at the library as opposed to buying them really lessens the guilt. If I cannot get into it, who cares? I can just return it and try something else. Anne Tyler’s recent book, A Spool of Blue Thread is one I will likely pick up again. She is one of my favorite writers and I have always loved her books, but this spring I got that one from the library and I could not get past page two. I tried several times…perhaps the timing was wrong. Real life was tough at that point so more escapist and less realistic books worked better for me. I’m not an abandoner unless the book is so horrible for me. When I started this challenge and was picking out my books my husband said, “What are you going to pick for “a book you previously abandoned” because you never abandon a book?” The answer was actually easy for me and I chose The Princess Bride. I was reading this book to my boys before bedtime and was enjoying it, but then my husband took over on bedtime duties and finished the book and I never got back to it, even though I do want to read it. I still have to read it, but there are so many books that I *have* to get through :)! I’m going to have another go at Eleanor Catton’s ‘The Luminaries’, set in 19th century New Zealand. It has an intimidatingly long first chapter, which I was quite enjoying just before I went travelling. But I decided the book was too heavy to carry with me (c 800 pages), so abandoned it for something shorter and physically lighter. But I have been meaning to get back to it – here goes. I’ve never read that one. Good luck on your second attempt! Jane Eyre. I’ve abandoned it at least twice. It is a strange one for me. I love classic literature (Gaskell, Austen, etc) and I loved the movie but I’ve never been able to get passed her time away at school and get into the meet of the story. I think both times I abandoned were audio books, so today I cracked the cover of an old copy I dug out of my parents bookshelves last Christmas and started reading. I will finish it this time! Even if for no other reason than to mark this off my reading challenge (but I’m really hoping and thinking I’ll love it)! There are several books I WISH I’d abandoned but sometimes books have such a huge fan following that I get curious. “Twilight” was one such book I was dying to abandon but wanted to give it a fair shot to see what all the hoopla was about. UGH– hours of my life I wish I had back. I read “House of Sand & Fog” based on an Oprah rave review and I’ve never trusted her reviews since then. When I was young I would attempt to read A Separate Peace because it had an interesting cover and it was on our bookshelf at home. I was far too young to understand it but every year I would give it a shot. @MaryKate I also did not enjoy The Casual Vacancy at all– it seemed to me that JK Rowling saved up all the F-bombs she could not use in the Harry Potter series and unleashed them all on the pages of TCV. It was truly offensive and unreadable, although I slogged my way through through to the end. Her Cormoran Strike books are really enjoyable, though. I tried to read the Mitford Series at 18 and was instantly bored. I tried again at 30 and they were perfect. At 18, I wanted adventures. At 30, I want a sweet peace. Yes! They are definitely comfort reading, not a dynamic story! That is such an interesting observation! I’m quite picky with the books I read and I always feel sad when I have to abandon one but it’s impossible for me to force myself into reading something I don’t really like. This summer I had to abandon Tropic of Cancer by Henry Miller. It may be considered by many people one of the greatest books ever, but for me it failed to impress me. To tell you the truth – after reading the first 120 pages, I still hadn’t figured out what the book was all about. I am considering giving Doctor Zhivago another try. I found my bookmark, and I was already 300 pages in. I can’t remember why I abandoned it. But, my father-in-law is rereading it, so maybe now is a good time! Absolutely, positively spot on per the usual Anne!! I almost gave up on “Everyone Brave Is Forgiven”, but then listened to an interview with the author. His explanation of his research process and why he wrote the dialogue the way he did totally put the book in a new light for me! 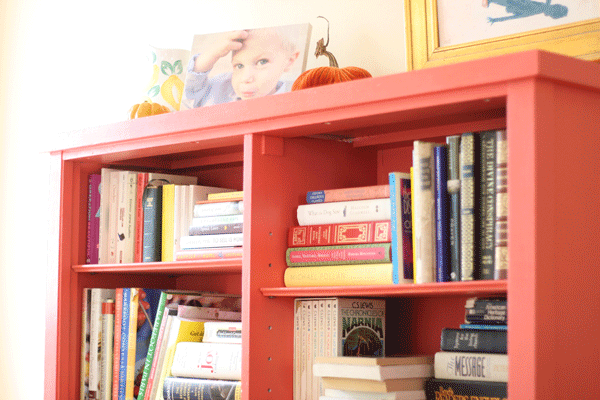 Ps–are those your bookshelves? I LOVE the color! What is it?! Those are indeed my bookshelves. It’s a Porter Paint color. I was aiming for Anthropologie orange but instead ended up with a distinctly salmon kind of color. I was a professed Thomas Hardy hater, as I read Tess in high school and hated every second (I did finish it, though). A couple years ago, I decided to tackle Far from the Madding Crowd ahead of the movie release and I really enjoyed it. This has made me wonder if a second look at Tess would be worth the journey. Also, I believe Wuthering Heights will be my selection for books I abandoned. I think there is still a bookmark in place from the last time I put it down (about 15 years ago!). At first glance I thought this said “professional Thomas Hardy hater” which made me chuckle. I’ve never read Tess or Far From the Madding Crowd, though I’ve seen the Hallmark version of the first. I can only imagine it was significantly gentler. Stephen King during a trip to Disney World. Need I say more? I can beat that — King’s “Pet Sematary” on the three-hour drive to our new house which — unbeknownst to me — was located across the street from a cemetery. Fourteen-year-old me didn’t sleep for a week… and didn’t pick up another King for a while. About 10 years ago I read a memoir-type book about a missionary couple who was kidnapped and held hostage in SE Asia. It was a page turner, heartbreaking but redemptive at the same time. Would I re-read that book now? Most likely not. Why? Because, 10 years later, I’m married, with kids, and a missionary overseas. The very same parts of that book that drew me into the story would now be major triggers for anxiety, fear, and worry – I could easily internalize that story and let my imagination run wild, right off a cliff! I’ve learned that being aware of those type of emotional or situational triggers in stories is very important to my emotional and reading health. It could be a great story with all the right pieces for me…but maybe the me a few years from now, or a few years ago. Oh WOW. Yep, totally get how this is NOT the right time for you to read that kind of book! Well, I could say that it happened to me twice. The first one is The Rest of Us Just Live Here by Patrick Ness. I got excited at this book after hearing a review on a podcast. I wasn’t able to get it immediately after that podcast episode and when I got the book, I was expecting to read it with excitement. But when I read the first chapter, I was disappointed. since I want to give it the benefit of the doubt, I read it up to the last page. The feeling was the same. Another book is Dumplin’ by Julie Murphy. But until now it didn’t get my attenntion. I feel sleepy when I read it. I am still hoping that I will enjoy it someday. But for now, I have to stop reading it. I had abandoned the classic “Rebecca” twice in the last year, so I was happy when it was chosen for the book club I participate in because I would be more likely to stick with it and finish. Both of the first two times I started it were in the winter and while that’s perhaps a good setting for some to read a non-fluffy book, when the book club read it in May, I loved it! I think timing really was everything! Thanks for this post to get us thinking! Yes, yes, yes. I could not get into To Kill a Mockingbird when I was younger (it was not required reading for me but I tried because it was a classic). I bought it again in my 20s and still could not get into it. Read it last year as part of the MMD challenge and absolutely loved it. The poor grammar and not-watched-after kids really bothered me when I was younger but being older, I was able to get through those and found such incredible wisdom and depth to it. For the second point, a well-meaning neighbor gave me The Shack to read. When I was, what felt like, 20 months pregnant with our daughter. I read a few pages and told her I couldn’t read books about disappearing children at this time in my life. Lastly, I have a personal story to illustrate your point. En route to Scotland for vacation, I began reading Bill Bryson’s Notes From a Small Island. I ended up limiting how many pages I could read a day to make it last longer. In the mornings, my husband and I would have breakfast and I would steal away to a local coffee shop to read my allotted pages for the day. It was magical reading about his travels through the UK while looking out over Loch Lomond or the Highlands. I am drooling over your Bill Bryson story! That sounds AMAZING. I have suffered from serious chronic depression and anxiety for 28 years. Prior to my abduction by this disease, I never abandonded a book, based purely on principle, “thou shalt not abandon any book…”. Since then, my book abandonm ent habit knows no bounds. Some books I avoid simply because of their title, many others I have tossed aside halfway into the first, second or third chapter. A large number of my abandoned babies are books I have yearned to read; but that feeling, I recognize it in an instant, the feeling that stirs in my gut telling me if I read one more page, the monster will be unleashed, is so strong, I have learned to drop many a book without the slightest remorse. A Tree Grows in Brooklyn. I’ve tried to read this twice and each time I keep getting distracted by other books. I truly do enjoy it and the characters, but right now it feels like a fall book…because leaves, trees, and autumn seem to go together. I’m going to devote to it the time that it deserves some point this season. I never thought of books as not being right to read now. That’s perfect and I’m going to be aware of that when I decide to abandon another book. I usually give up on a book after reading about 50 pages. There are so many books I want to read that spending time on one that I don’t enjoy is just not a good thing for me. When I was in my early 30s, I read Umberto Eco’s book “Foucault’s Pendulum”. The Name of the Rose was good so this one should be too, right? Wrong. For me it was an awful, boring story, but I made myself read it because I bought the book and didn’t want to feel like I wasted my money. I loaned it to my boss who thought it was a great story. I decided that if I don’t like a book, there is always someone who will. That being said, I will hang onto books for a while to see if it just wasn’t the right time to read it.